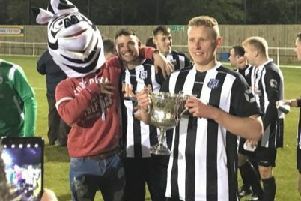 Brigg Town Development Squad put their difficult league season behind them as they advanced into the Lincs Challenge Cup final on Saturday. Hosting Immingham Town, a Carl Price hat-trick eased bottom side Brigg to a 3-0 win and into the final for the second season running. In the final they will face the winners of Saturday’s semi-final between Wyberton and last year’s winners Horncastle Town. Brigg are without a match this weekend, but return on Saturday, April 14 with a home league fixture against Wyberton.